Spinal Decompression Therapy is a leading non-surgical alternative for disc related syndromes of the lumbar and cervical spine. It has a high rate of success for reducing and eliminating pain. 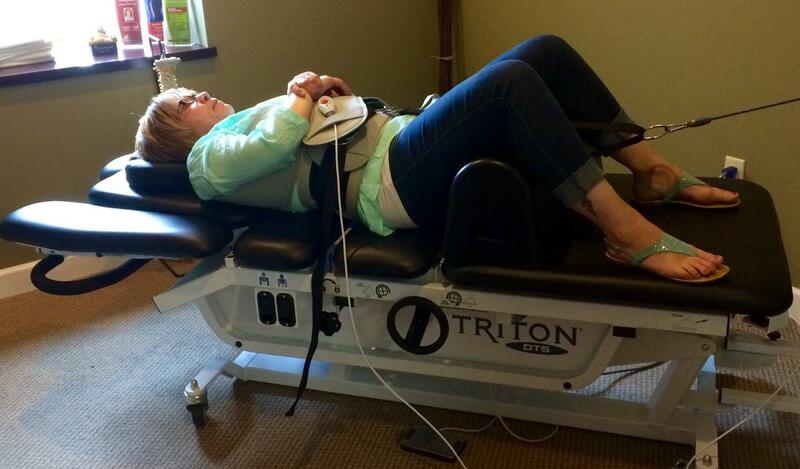 Decompression therapy gently stretches the spine, relieving pressure from the discs, joints and muscular tissue. The gentle distractive force that creates decompression unloads the spine to improve blood flow and increases important nutrient exchange to the injured area.We use spinal decompression therapy in the office to treat neck pain, low back pain, sciatic pain, pinched nerves, herniated discs, spinal stenosis, degenerative disc disease and much more! to find out if Spinal Decompression Therapy is right for you!